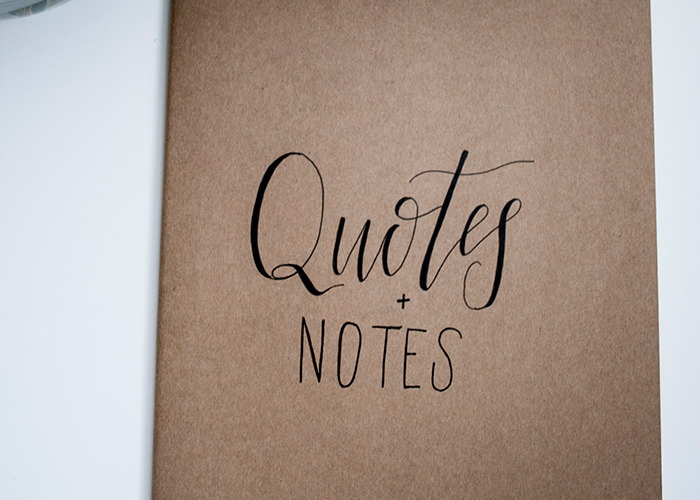 Blank Moleskin notebook with black ink calligraphy "Quotes & Notes". 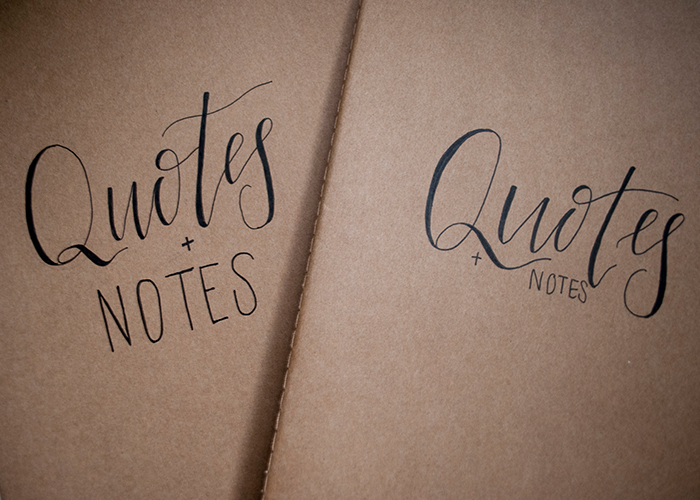 Never been used notebooks with a little extra pizazz. Black ink on brown craft cover. This is a handcrafted piece of artwork meaning there may be some imperfections, smudges or pencil marks. This just proves that it is an original and no two pieces are alike. It is one of a kind, just like you!